PLEASE READ AND SUPPORT A GREAT CAUSE! Help out an amazing person and dedicated teacher and support this gofundme her friend @edit-nameredacted set up. “Inspired by GoFundMe’s #ThankATeacher initiative, I’m starting this campaign to show teacher Jackie some support and appreciation. 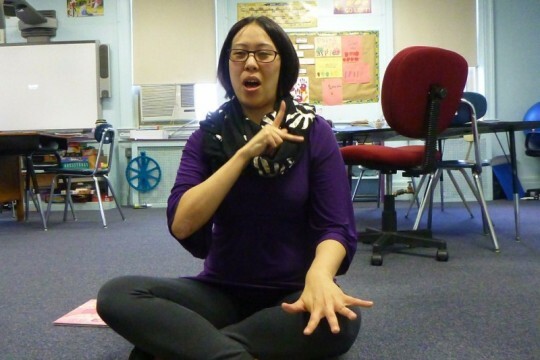 For those who don’t know her personally, Jackie works at St. Joseph’s School for the Deaf in the Bronx, a 4201 state supported, privately run school. “In 1947, New York lawmakers enacted legislation designating certain schools to serve the special education needs of children who are deaf, blind and/or severely physically disabled. The 4201 schools – so known because of the specific provision of the Education Law (§4201) where the schools are listed – have been providing unique and appropriate educational and related services to students with low-incidence disabilities in New York State for nearly 200 years. There are currently 11 private, state-supported 4201 schools across New York State. 4201 schools are not merely an educational option for children with low-incidence disabilities, the schools are often the most constructive learning environment. Students in 4201 schools receive a quality education in a supportive and challenging learning setting from teachers and staff with specialized training and experience. Students in 4201 schools develop emotional, social and cognitive abilities that are crucial to their success. The schools also provide extracurricular activities, leadership opportunities and mentoring. Jackie cultivates a classroom environment that is consistently a welcoming and structured place for students to learn. When she’s not in the classroom she’s providing state-mandated services to students who are unable to receive services in their school, taking classes, or participating in workshops to further develop her skill sets. Like MANY teachers she is super underpaid (#parity4students ) and a little bit of support will go a long way. If we can reach at least $100 in this campaign (through at least 5 seperate donations) GoFundMe will match our $100. That could mean more yarn for the super popular kntting club she runs at the school, or a document camera to enhance the visual learning style of her students – or just a little something extra for her.